Hello, My name is Laurie, after my grandson was born in 2006. A dear friend of mine, Carol, gifted me with two hemstitched baby blankets and burp cloth baby sets. They were just so darn cute and adorable! I met up with her again attending her daughters’ wedding and asked her where she had acquired them. She relayed that she had crafted them. Well, that’s when my mission began. I started putting blankets together and Carol would take them to St. George, Utah to have them hemstitched, as that was the nearest location we could have them done. I started learning different crochet edgings so that each blanket would be different and unique. I finally found my passion! Now, the hard part was to find a hemstitch machine, preferably a Singer 72w-19 hemstitch machine. This machine produces the quality I wanted. It was a tough process because they stopped making them in the early to mid 1900’s. However, I wasn’t going to let that stop me. 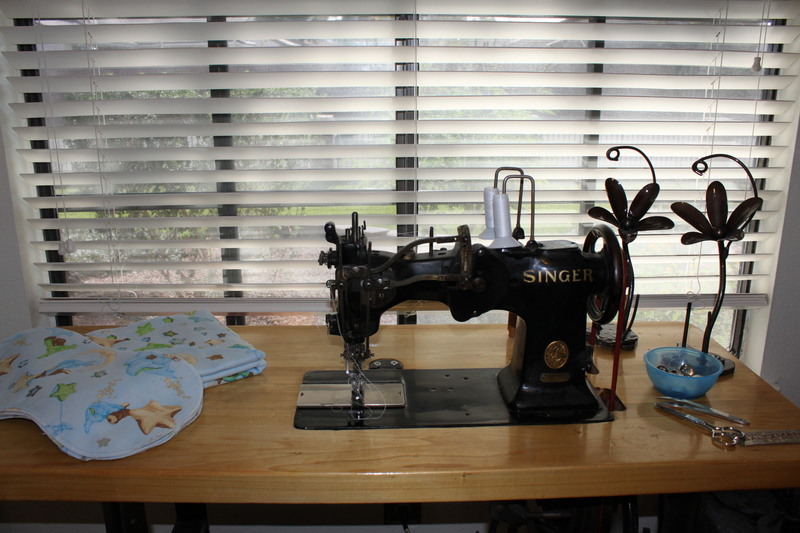 I purchased my first machine three years ago on E-Bay and since then purchased another machine. There are so few of these machines available today that I am truly fortunate to actually own these machines.